Billy Greenwood presented great information and understanding of leadership and how to work with people and get the best out of your members. Thank you Billy for the great training and sharing your valuable knowledge with us. 70 Nebraska Firefighters participated in the 4th annual Nebraska Fire Chief’s Leadership Seminar held in Norfolk Nebraska on March 9, 2019. Great training opportunity for leadership development for all members of the fire & rescue service. The Nebraska Fire Chief’s would like to thank all of the sponsors that help make this event successful. 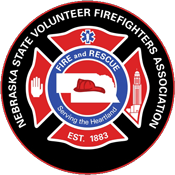 Special thanks to the leadership of the Nebraska Fire Chief’s for being the sponsoring agency to present world class training at an affordable cost to the Nebraska Firefighters. We look forward to the 5th Annual Leadership Seminar in 2020. Please make plans to attend.